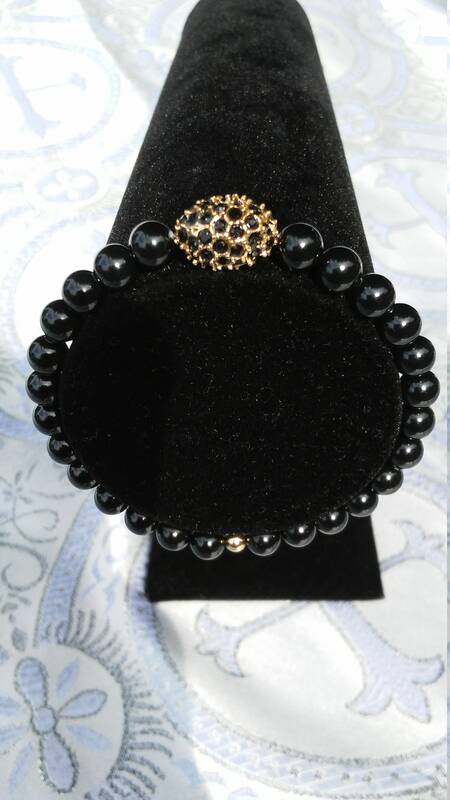 This bracelet is made of swarovski glass pearls, and a pave' ,crystal candy bead center piece on a stretch cord band for comfort and resilience. This wrist gem can be made into a neck gem, ankle gem, or belly gem. See size options when ordering.